Mr. James “Jim” Gamble, age 64, of LaVergne, Tennessee, died Friday, July 27, 2018 in Smyrna, TN. Mr. Gamble was born in Nashville, Tennessee and was a son of the late Laura Jean Ashworth Gamble and Lee Tabler Gamble, Sr. 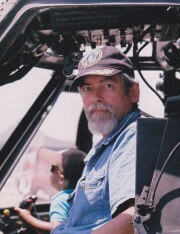 He served in the United States Air Force during the Vietnam era and was a member of the Episcopal Church. Mr. Gamble was employed with United Record Pressing of Nashville as an industrial maintenance manager. Mr. Gamble is survived by his wife, Carla Brummitt, LaVergne, TN, formerly of Dyersburg, TN; step-daughter, Lindsey Brummitt, LaVergne, TN; brother, Lee T. (Verni) Gamble, Jr., Dandridge, TN; sister, Vicki (John) Moses, Chapel Hill, TN; several nieces; several great nieces and nephews. Visitation will begin at 10:00 am on Monday, July 30, 2018 at Lawrence Funeral Home. Family members will receive friends on Monday from 4:00 until 8:00 p.m. at the funeral home. Funeral services will be conducted on Tuesday, July 31, 2018 at 10:30 am from the chapel of Lawrence Funeral Home with Rev. Tim Holton officiating. Burial will follow in Allen Cemetery in the Caney Spring community of Marshall County.